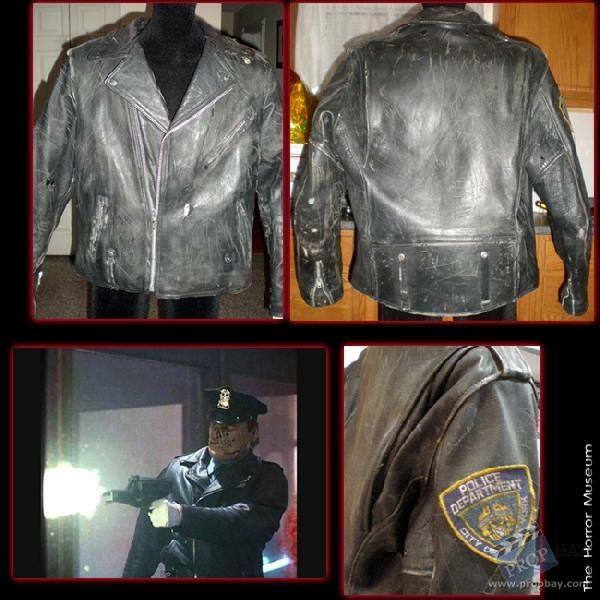 This distressed leather jacket was worn by Robert Z'Dar as "Matt Cordell" (Maniac Cop) in the sequel to the 1988 film "Maniac Cop". 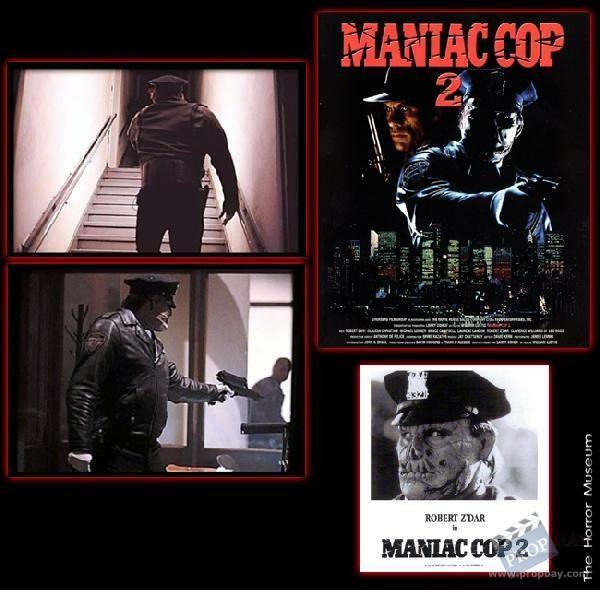 The jacket is full of bullet holes, is dirty, torn, and looks like the Maniac Cop just took it off. It's in fantastic screen-used condition. 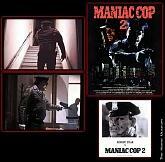 This rare and vintage horror collectible Comes directly from production. Added: 12-03-2011 - Viewed: 3601 times.